Welcome back. You’ve seen or heard the headline so many times, you know that drinking coffee is normally healthy. I say normally because coffee’s effects vary with the individual, the amount of caffeine and other compounds in the coffee, and how much and how regularly coffee is consumed. Recent prospective cohort studies have focused on mortality, i.e., coffee drinkers live longer. The results of those studies were determined by monitoring groups of similar individuals (cohorts) over long periods of time. 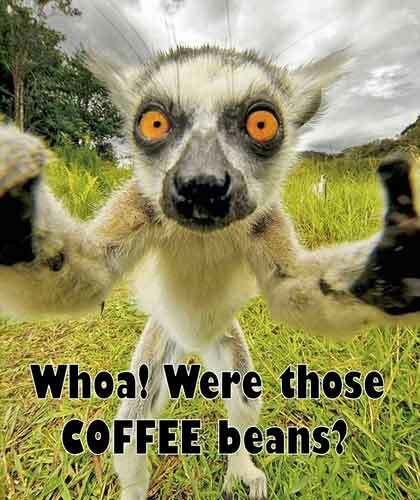 But there has been other coffee research whose results were determined by measuring cause and effect. Here’s a sample of both. Two major prospective cohort studies of the association between coffee consumption and both total and cause-specific mortality were reported as sister publications in the Annals of Internal Medicine. One monitored 521,330 participants in 10 European countries, while the other tracked 185,855 mostly nonwhite populations in Hawaii and Los Angeles. The average follow-up for each was over 16 years. Both studies found coffee drinking to be associated with reduced risk of death. The relationship did not vary by European country and it held for African Americans, Japanese Americans, Latinos and whites. Similar results were presented at a conference by researchers from Hospital de Navarra, Pamplona, Spain. They monitored 19,896 participants for an average of 10 years and found those who drank at least four cups of coffee daily had a risk of mortality that was 64% lower than those who never or almost never drank coffee. Breaking it down, there was a 22% lower risk of mortality for every two cups of coffee, which rose to 30% for those at least 45 years old at the start. Now that I’ve got coffee drinkers fist pumping, I can move on to a more interesting study. Cornell University researchers recently reported (1) caffeine makes food and drink seem less sweet and (2) caffeinated and decaffeinated coffee produce the same level of alertness in coffee drinkers. The Cornell researchers randomly divided 107 participants into two groups. One group sampled decaffeinated coffee, while the other group sampled decaffeinated coffee to which 200 milligrams of caffeine had been added, about the level of a strong cup of coffee. Like amounts of sugar had been added to both groups’ coffee. Testing was repeated on another day, switching the coffee the groups sampled. The study found those who drank the caffeinated brew rated it less sweet. The chemistry gets a bit involved, but in short, caffeine keeps us awake because it blocks the effect of taste bud receptors, which would otherwise promote relaxation and sleep. In the process, however, caffeine also lowers the ability to taste sweetness. For the second phase of the Cornell study, the same participants drank caffeinated or decaffeinated coffee, estimated the amount of caffeine in the coffee and reported their level of alertness. 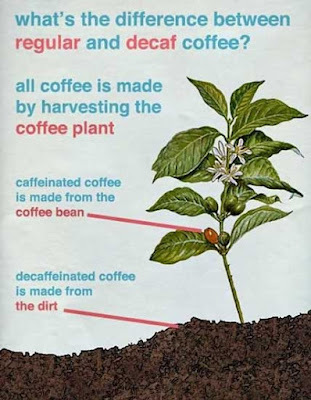 The participants could not distinguish regular from decaf, rating comparable increases in alertness and showing no significant difference in reaction times. The researchers judged there might be a placebo or conditioning effect, causing coffee drinkers to feel more awake as long as they drank coffee, be it regular or decaf. May I offer some concluding remarks on each of these findings? Regarding mortality, you may wonder how coffee could contribute to longevity. In addition to caffeine, coffee contains several bioactive compounds with potentially beneficial properties. Further research is needed. If caffeine lowers the perception of sweetness, do we consume more sweet things? Make them sweeter? I doubt we need coffee to make the doughnuts disappear at the Saturday morning coffee klatch. Regular and decaf may give equal short-term boosts, yet having once (and only once) consumed a caffeinated beverage too close to bedtime, I’m confident that caffeine can be relied upon for a more lasting effect. Thanks for stopping by for coffee.